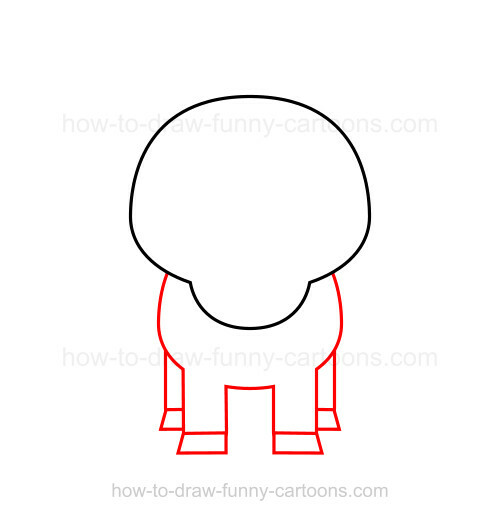 First, let's create the head using a large oval shape. The jaw on the bottom can be drawn from a long curved line. 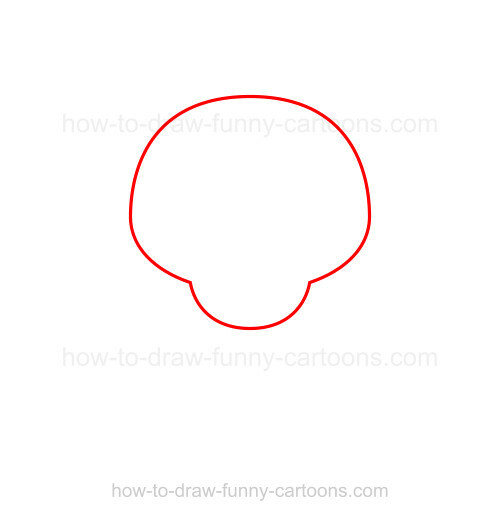 As you can see, I did not use a perfect circle to illustrate the head. Great! Now add the body using another small circular shape. 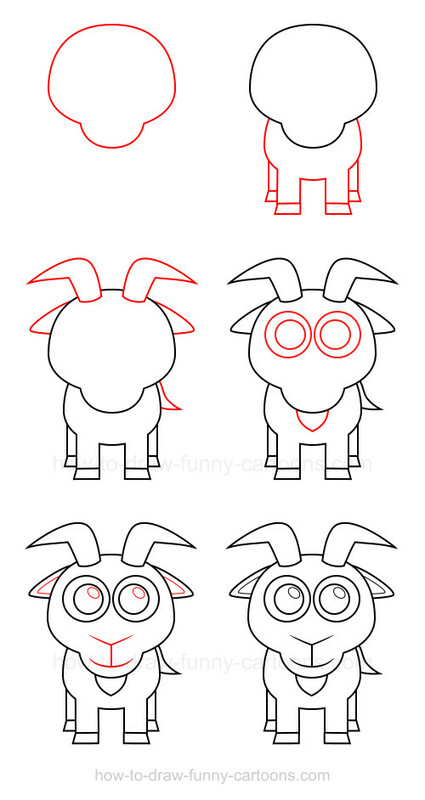 In front, you can add the legs and the hooves using rectangles and squares. 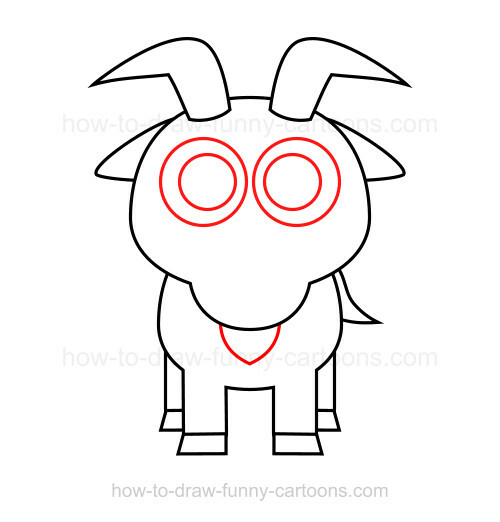 Repeat the same technique for the back legs, but these legs must be drawn higher in the illustration. Cool! 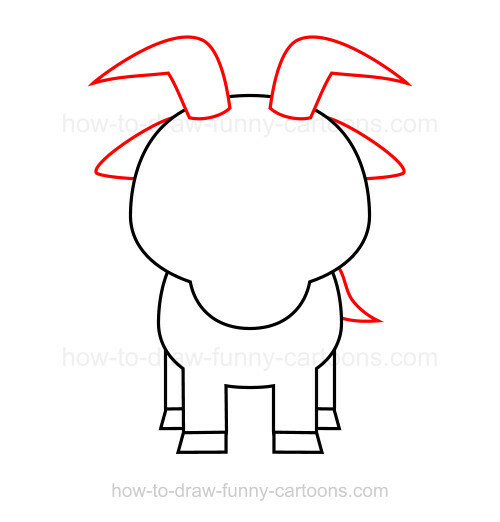 Time to add the horns using a mix of curved lines. The ears are made from small triangles. Notice how the end is round and smooth. Finally, the tail is made from a short curved line. Nice. You can add a little bit of hair on the chin using a curved line. 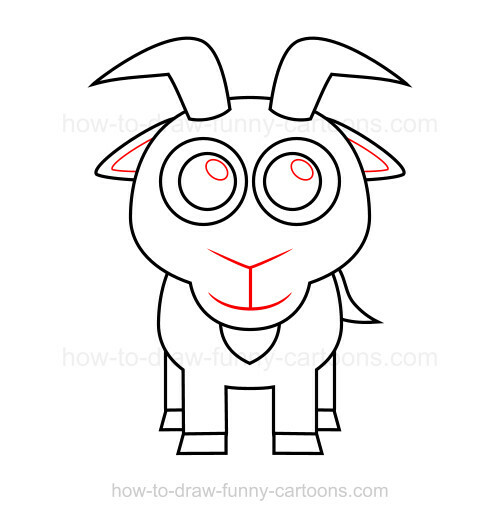 The eyes are made from circular shapes and the pupils are also made from smaller circles. It's now time to add some details. Inside the ears you can draw more lines to create a second color. On the pupils, two small oval shapes can be added. Finally, the nose and the mouth are made from straight and curved lines. That's it! 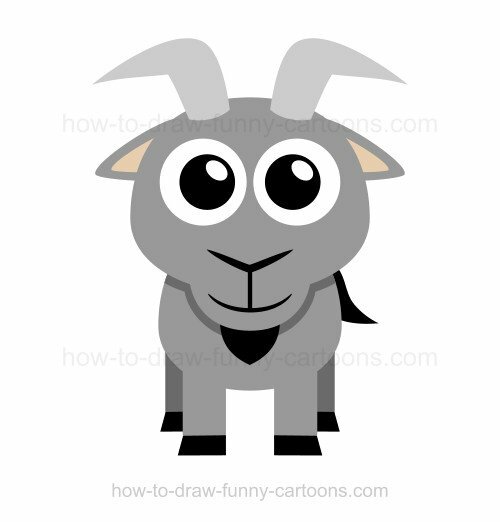 You can now see the complete cartoon goat in black and white. If you prefer, you can also try a side version made from basic shapes. 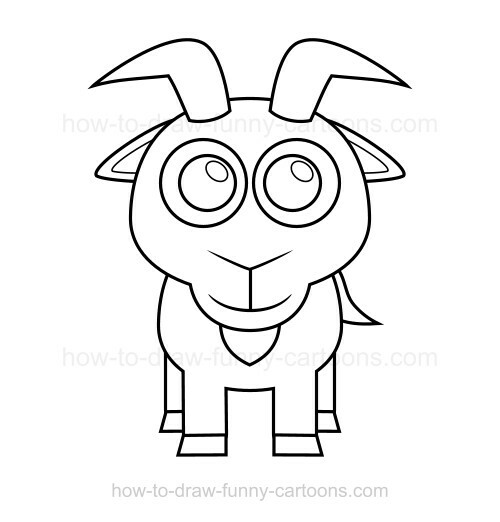 It's a little bit more complex to draw, but you should be able to achieve this character too.